Serving Cocoa Beach, Rockledge, Merritt Island, Fl & surrounding areas. Now Offering Guaranteed Pricing & Free Junk Car Removal! located in Cocoa Beach, Florida is dedicated with 25 years experience in the Cash for Junk Car Removal Business Industry to provide prompt, Professional Service with Honesty! We specialize in buying Junk Cars, Trucks, Vans, Suvs; all Years, Makes and Models in any condition. Providing the Highest $CASH$ paid on the spot. We offer Guaranteed Pricing, Free Towing & Fast Pickup with customer satisfaction! Providing the Highest Cash Paid on the Spot! Great Customer Satisfaction with Honesty! Small Description of what is wrong with your vehicle. We then provide you with the highest quote possible. Driver pays you cash on the spot upon removal. 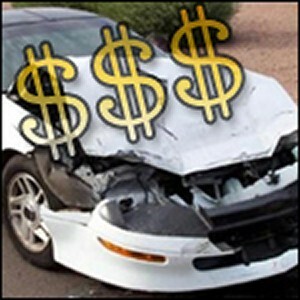 Tips: "How to Sell a Junk Car for Cash Today!" Thank You for doing Business with Aaron's Auto Recycling. "You will be contacted shortly." Sell Your Junk Car for Cash Today. We offer Guaranteed Pricing and Free Towing! We buy Junk Cars & pay Cash for Junk Car Removal in Cocoa Beach, Rockledge, Merritt Island. "The Junk My Car Co."
specializes in buying junk cars, trucks, vans, and SUVs in Cocoa Beach, Rockledge, Merritt Island, Florida --> all years, makes, and models in any condition. With more than 25 years of experience in the junk my car removal business, we pride ourselves on the quality of our prompt, honest, professional services. Feel free to contact us today in Cocoa Beach, Fl for more information about our services. Get Paid for Your Junk Vehicle. Serving Cocoa Beach, Rockledge, Merritt Island, Florida. Receive cash for junk cars by contacting our Cocoa Beach, Fl location for junk my car removal. We haul old junk cars and provide you with the best value for your old junk autos. We are recognized as a "Five-Star" rated company, sponsored by Google®, Yahoo®, AOL®, and Bing.com®, and seen on every top search engine throughout Cocoa Beach, Rockledge, Merritt Island, Fl --> which ensures you of a satisfactory experience. We welcome all individual junk car owners as well as commercial accounts. Call our auto salvage yard today to get the best cash price for your junk my car removal. Rid your property of junk cars with proven junk my car removal services from Aaron's Auto Recycling, conveniently located on 1685 N. Cocoa Blvd in Cocoa Beach, Florida 32922. Our priority is to be your first choice for junk my car removal. With over 25 years' combined experience and "Five-Star" rating with Yahoo, Yellowpages.com™ sponsored by Google, MSN & ASK.com, ensures you of a satisfactory experience! Call one of our junk car removal specialist to receive your highest price possible for your junk car removal with guaranteed pricing, free towing & Get your CASH for junk my car removal today. At Aaron's Auto Recycling, we buy old junk cars for cash TODAY All years, makes & models (Foreign & American) in any condition. With Guaranteed pricing, FREE TOWING & Cash paid on the spot. We make selling your old junk car for cash Hassle free, simply provide us with the year, make & model and a small description of what is wrong with your old junk car & with in seconds we can quote you with the highest CASH for junk my car removal. We welcome all individual junk car owners and any Commercial Accounts. Serving Cocoa Beach, Rockledge, Merritt Island, Florida with area wide coverage. Contact our Auto Salvage Yard NOW! To get the best price & Cash for Junk Car Removal and put us to the test!